Venus is a whole grain Italian rice that maintains the crude fibre in the grain. 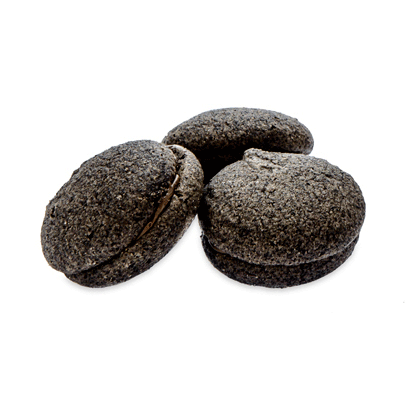 This ensures a low glycemic index and guarantees a constant supply of energy, reducing the risk of accumulating fat. Venus rice has a higher content of mineral salts such as selenium, manganese, zinc and iron than white rice and is gluten free. It also has a high content of anthocyanins, which act as antioxidants that are useful to combat the effects of ageing and to reinforce the immune system. Serving suggestions: this nutritious, perfumed variety of rice that is rich in antioxidants can be used in a variety of culinary preparations. 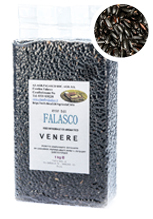 It is excellent for risotto and rice salad but it is also a perfect accompaniment for vegetables, shellfish and white meat. This aromatic rice with an elongated grain features a red pericarp and is obtained in Italy by crossing Venus rice with another type of rice with an elongated grain. Like Venus rice, Ermes rice is gluten free. 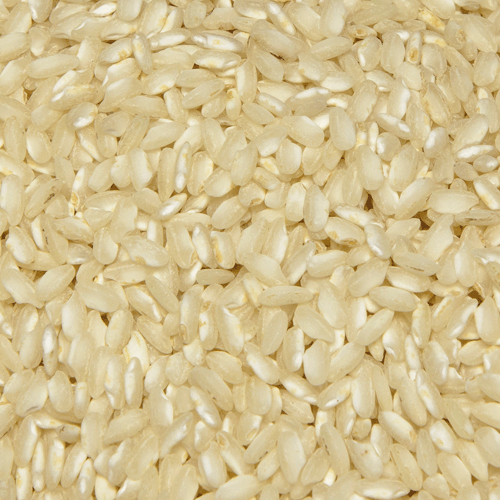 Being a whole-grain rice, it is rich in fibre, vitamins, mineral salts and protein. All these characteristics make it particularly healthy and nutritious. Serving suggestions: it is ideal for eating with the addition of a little extra virgin olive oil but also when accompanied with raw or cooked vegetables. 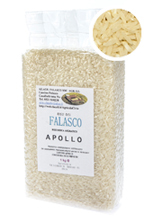 Apollo is a white aromatic rice with an elongated grain. It is the result of the natural crossing of an Asian rice with an Italian rice. 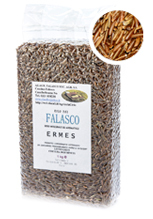 It is the Italian alternative to exotic varieties of rice such as Basmati and Jasmine. 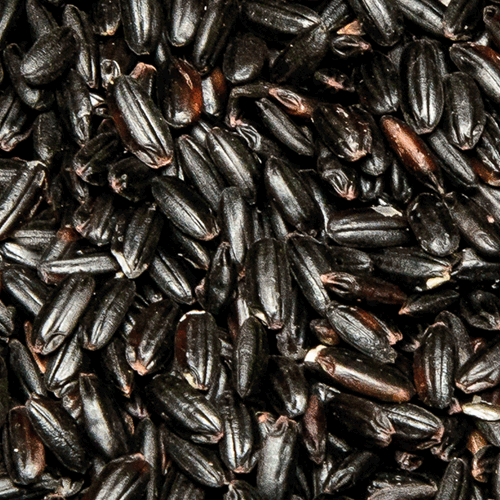 Apollo rice is low in fat and gluten free and boasts a fragrant aroma which procures a truly unique experience for the palate. Serving suggestions: thanks to its natural aroma, it is excellent boiled or steamed but also sautéed and as an accompaniment for main courses with vegetables, meat or fish. It is simple and quick to prepare thanks to particularly reduced cooking time.